Thermatech Northwest believes that prompt response and honest customer concern are the most important aspects of environmental services. We feel a strong obligation toward personnel availability and prompt response to our clients’ issues, to ensure they receive the right technical resources, delivered at the right time. Our entire company is committed to the health and safety of our clients and our community to exceed their service expectations and build lasting relationships. From the start, our experts provide the highest quality of service and professionalism to our clients, with an emphasis on responsiveness and immediate, corrective action. Because we are a leader in the hazardous waste removal, Thermatech Northwest stays current with the newest guidelines, procedures, equipment and regulations that affect people, properties and the environment. Each member of the Thermatech staff is extensively trained and certified, to render safe and compliant environmental services that leave the customer completely satisfied. Thermatech Northwest completes remediation projects that are large and small, public and private, routine and demanding. We are very proud of our history of professional customer support that is backed by a diverse team of professionals who bring a unique blend of experience to even the most demanding projects. Our company’s success results from our dedication to employ expert staff and to maintain a commitment to prompt, effective service to our clients. Our goal is to evaluate the risks involved in each project, and then find a cost-effective solution that will safely stabilize and eliminate environmental hazards. Thermatech Northwest has the manpower, equipment, and experience to protect you and your environment from the danger posed by hazardous materials. Using the most up to date equipment, advanced OHSHA, WISHA and EPA protocols, fully qualified technicians and AHERA Certified Building Inspectors, we can successfully meet your legal, health and safety requirements. We have a long history of successful remediation jobs completed promptly, effectively, and affordably. Our dedication to continued education, high safety standards, carefully executed projects, and personalized service has earned us a reputation for providing unsurpassed value to our clients. Our training, experience, and regulatory compliance have made us the choice of homeowners, municipalities, hospitals, schools, and industrial and commercial facilities throughout Western Washington. We are bonded, licensed and insured. Our blanket liability and umbrella policy of insurance coverage will meet your every need. 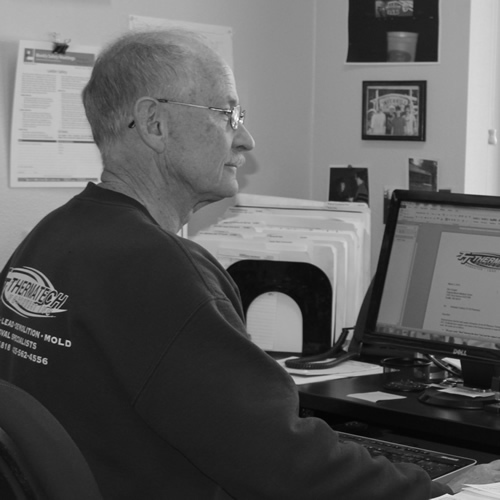 At Thermatech Northwest, safety and health are embedded in our core values. We encourage everyone to be stewards of safety, thus ensuring an injury free and healthy workplace for our staff, other contractors and customers. Our health and safety program is highly successful as evidenced by our low EMR ratings as well as our exceptional OSHA, WISHA records. We recognize that government regulatory compliance is a major part of safety. By following and exceeding the OSHA, WISHA and EPA rules to be trained and certified in safe handling and disposal of hazardous waste, we keep our clients, employees, and facilities safe from environmental and legal harm.